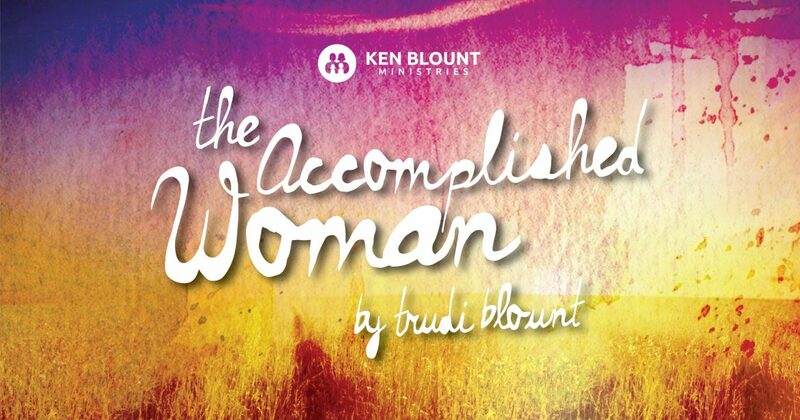 The “Accomplished Woman” peers into the distance! 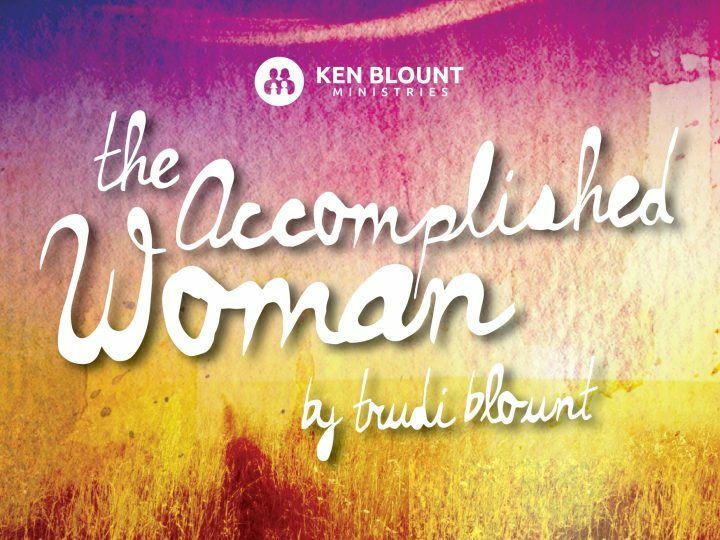 The “Accomplished Woman” looks well…this means “to lean forward or peer into the distance.” In other words, she doesn’t live for the moment but her actions reflect a concern and plan for the future. This scripture reminds me of my daughter, Brooke. She is an amazing young woman. Brooke is a planner. For instance, she will plan her meals as much as a month in advance. She will plan it, budget it, save coupons and spend as little as possible to get it done. One day, she told me she had calculated how many days she still had left to spend with her oldest daughter if she left home at eighteen. It causes the days to be more precious to her. It also sobered her up to her purpose as a mother/mentor. Not long ago, she told me how she was led by the Holy Spirit to look in a particular store she had never shopped in and found a particular Christmas present one of her daughters had asked for! We need vision, or plans, goals. In the Hebrew language, the word “vision” means “to cut the fence.” Vision helps you look through and get rid of the perimeters and barriers around your mind. One of the ways you do that is with prayer. 1 I will stand upon my watch, and set me upon the tower, and will watch to see what he will says to me, and what I shall answer when I am reproved. Many people know this verse. But most of the time you will hear verse 2 quoted by itself. It is very important if you are going to get the full thought God wants us to have that you begin with the first verse. To watch here is speaking of praying and listening to what God tells you to do. This must precede verse 2. You can’t just make a vision up on your own. God doesn’t intend for you to just dream things up on your own. Your vision comes from the guide. We are talking about the Holy Spirit! He will lead you you into all truth and show you things to come. John 16:13 (AMP) But when He, the Spirit of Truth (the Truth-giving Spirit) comes, He will guide you into all the Truth (the whole, full Truth). For He will not speak His own message [on His own authority]; but He will tell whatever He hears [from the Father; He will give the message that has been given to Him], and He will announce and declare to you the things that are to come [that will happen in the future]. Oh, I love the great Comforter, prayer brings peace, direction and comfort. I think we will camp on this one awhile! I thank God that early in my walk with Him, I learned that the Holy Spirit was my best friend. I believe this has saved me a lot of misery and worry. Learning to listen to that still small voice has made the difference so many times. I expect him to lead me, guide me, and comfort me through anything and everything. Believe me, there have been times my heart was broken just like you, I thought there was no answer this time, just like you. All the while the enemy was screaming in my ear, “I have you this time.” But he didn’t. And he never will! I’m so thankful that I have learned to look well to the ways of my household. I have learned to trust them to God and to daily lay the whole bunch; husband, children, and grandchildren at the feet of Jesus. When I do that, I know that they will be safe and sound. I have a saying and attitude that I live by: I’ll let my Father see me cry, but never, ever the devil. By that I mean, I may crying, but I will never give up and admit defeat. I’ve learned to “peer in the distance” because Jesus has been ahead of me in time. Isaiah 46:10 tells us that God declares “the end from the beginning.” He sees the big picture and knows how this trial is going to end. If I believe that then I know that I can trust my life and family to Him without reservation. The “Accomplished Woman” peers in the distance.